Check your airline first :"United Airlines will NOT accept carriers that are NOT bolted together. 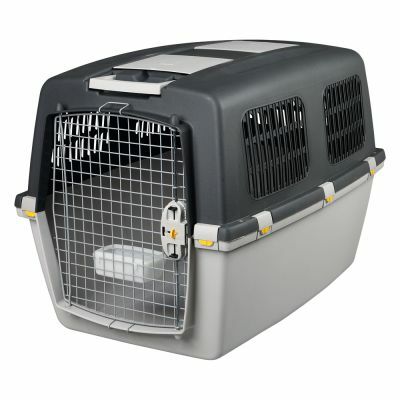 UK airlines are fine but check your Airline kennel travel requirements first. This worked out a costly expense. 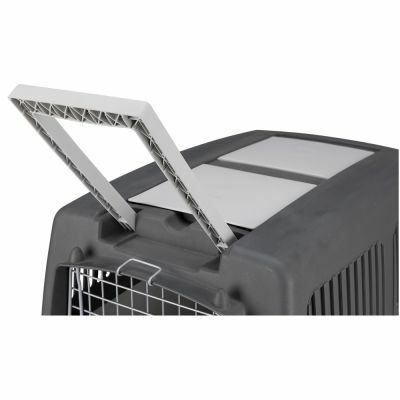 kennels are fine"
The Trixie Dog Kennel Gulliver provides your pet with extra safety on long and short journeys due to its lockable snap fasteners. 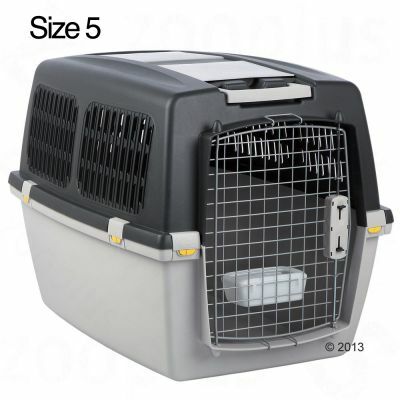 Two large storage compartments offer extra space for treats and other accessories. 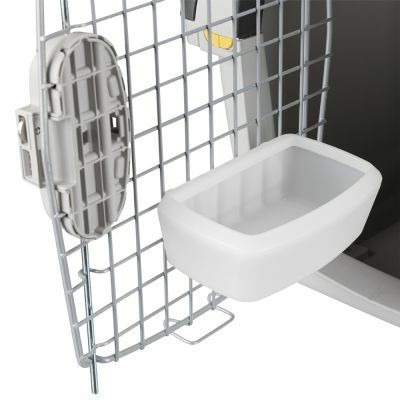 A practical plastic food and water bowl is also included, which can be attached to the bars at the front of the cage. 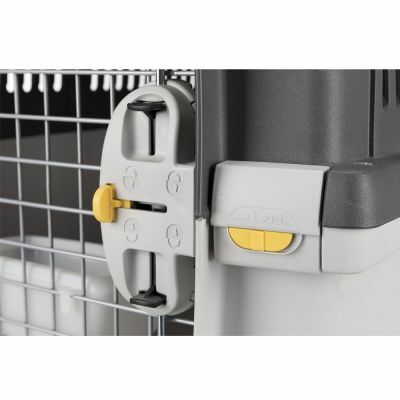 The cage door can be opened outwards or removed completely. The grilled windows of sizes 5, 6 & 7 are equipped with extra horizontal bars. 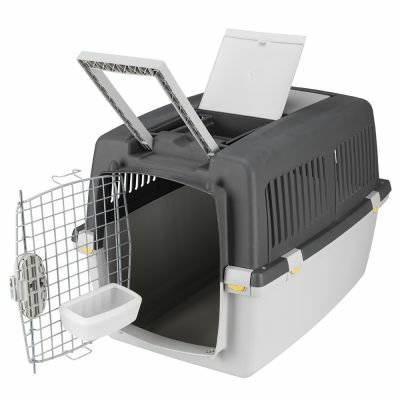 This carrier complies with the IATA Live Animal Regulations for animal transport. 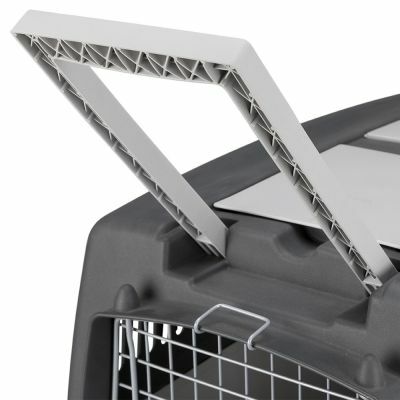 The cage also has a handle, making it especially convenient to use with the Gulliver wheel set (sold separately). 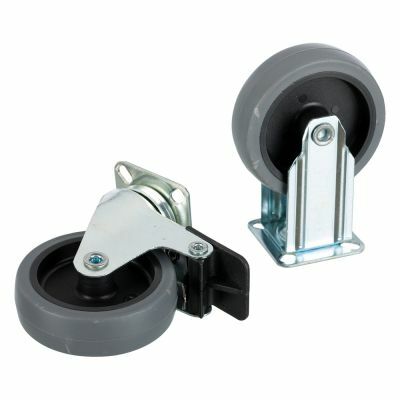 The wheel set consists of 2 directional front wheels with locking mechanism and two fixed rear wheels. No tools are required to attach the wheel set. 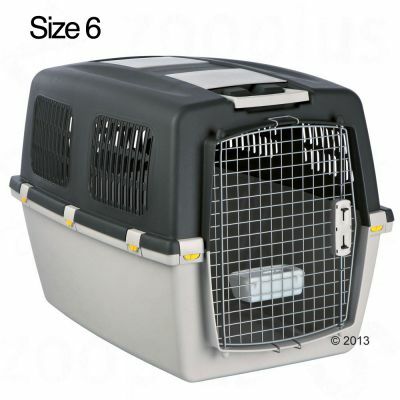 The wheels are not included and must be ordered in addition to the kennel. 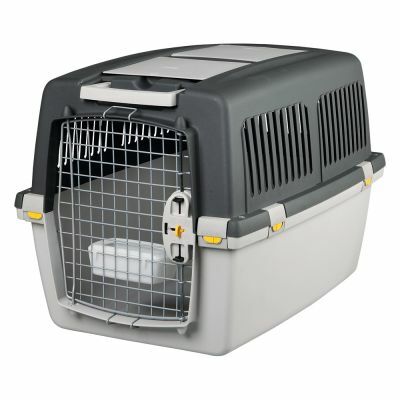 Tips for training: Help your pet to get used to the carrier by introducing it gradually. 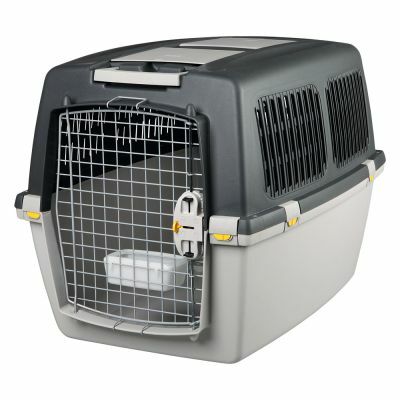 Start by letting your pet relax inside the carrier with the door open, then move on to short periods with the door closed. Gradually increase the amount of time your pet spends inside the closed carrier, and take your pet on some short test runs in the car before trying a longer journey. 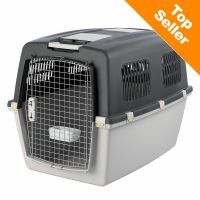 The carrier should never be used as a punishment, and should provide your animal with a safe, positive place where it can feel comfortable and secure. 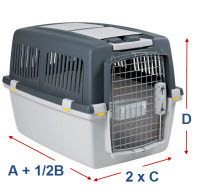 The size/breed table given here is only meant as a guideline, following typical breed types. 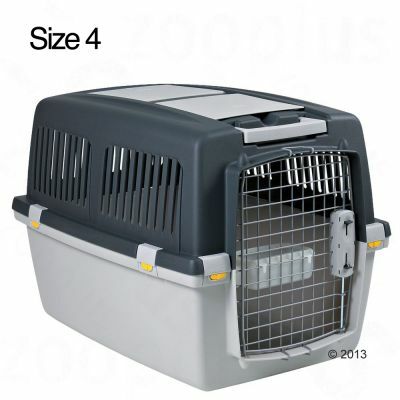 The specific size and weight of your own pet should always be taken into account when choosing a suitable container. Colour may vary. Note: Size 6 cannot be delivered to Switzerland and Northern Ireland. The interior height is approximately 5cm shorter than the exterior height. 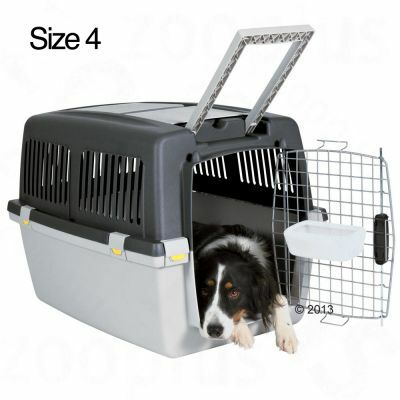 The right kennel for your pet: According to IATA (International Air Transport Association) regulations, the size of a dog crate must allow for the animal to stand upright inside it without its ears or head touching the ceiling. The animal must also have room to turn around inside the cage, and must be able to lie down in a natural and comfortable position. 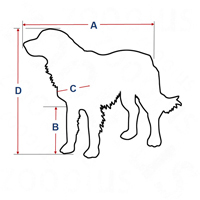 The right length (A + 1/2B): Measure the length of the animal from the nose to the base of the tail, and add half of the length of its front leg. The right width (C x 2): Measure the width from shoulder blade to shoulder blade, and multiply by 2. The right height (D): Measure the height of the animal from the paws to the tips of the ears. Please note: This carrier complies with the IATA Live Animal Regulations for animal transport. 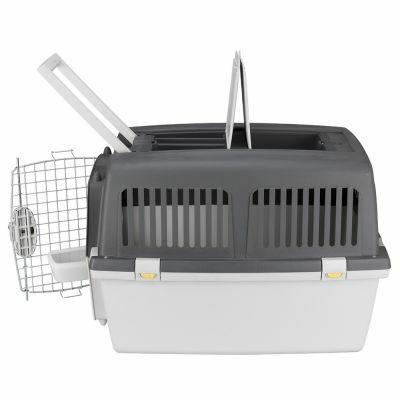 However, as individual airlines and countries may differ in their regulations for pet travel, it is important that you confirm with your airline before purchase that the carrier meets their own specifications. 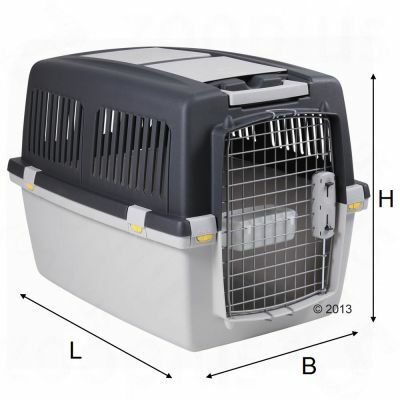 Some airlines require bolts or cable ties (not included in delivery), to keep pet travel crates safely secured. You can do this by tying a cable from the door above to the sides and to the bottom. 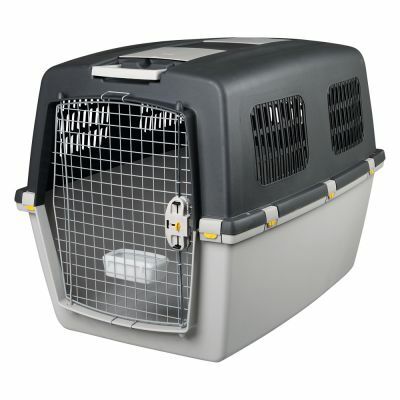 The top and bottom of the Dog Kennel Gulliver can also be tightly fastened shut with bolts (not included in delivery).